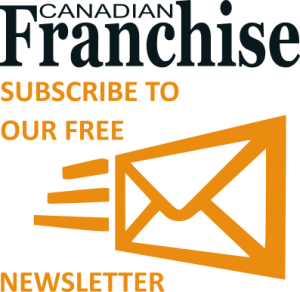 Franchisee of the Year: John & Susan Goldsmith, owner of Glass Doctor of North Vancouver: This award is the highest honor that can be bestowed upon a franchisee. John and Susan Goldsmith (out of North Vancouver, Canada) first became Glass Doctor franchisees with the opening of their first location in in 2010. Today, the Goldsmiths currently own and operate four locations — North Vancouver (est. 2010), Sunshine Coast (est. 2014), Langley (est. 2015) and Burnaby (est. 2018). John and Susan attribute a lot of their success to following best practices, utilizing the technology, infrastructure and software provided by the Glass Doctor system and working closely with other franchisees. In addition, the Goldsmiths have had to overcome some incredible geographical “challenges” (given that they are located on the Sunshine Coast, they are locked in by ocean and mountains). Due to this, they typically have to take a 45-minute ferry ride just to make many of their reservations. Woman of the Year: Rebecca Hill, owner of Rainbow International of Vancouver Island: The Woman of the Year award is presented to a female franchise owner who has contributed the most to becoming a successful franchise during the previous year. The award also recognizes Rebecca’s continued efforts to strengthen the Rainbow International brand while also supporting her local community. 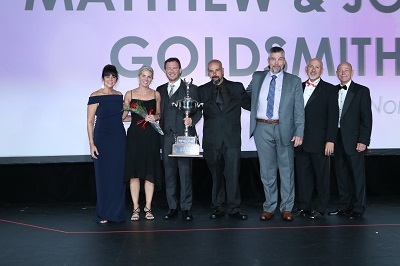 Franchisee of the Year: Derek and Pam Moreland, owners of Mr. Rooter Plumbing of Greater Toronto: The Franchisee of the Year award is the highest annual honor that can be bestowed upon a Mr. Rooter franchisee. The Moreland’s have consistently grown their business, shown exemplary customer service and constantly strive to offer support to fellow Mr. Rooter franchisees to ensure that everyone has the opportunity to learn from their experiences, along with supporting the local communities they serve.